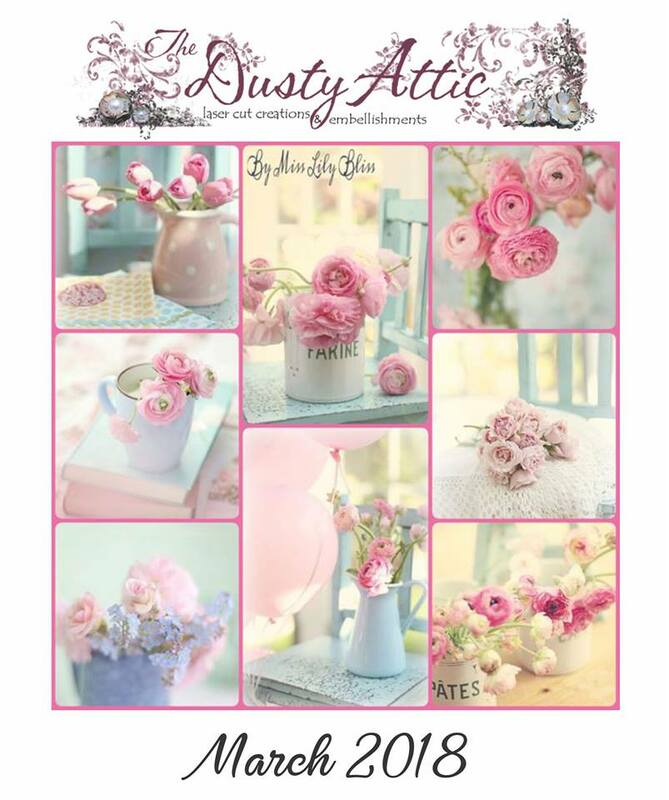 today i would like to share my layout made for "Maja designs" and "Dusty attic".The layout is based on this months gorgeous mood board over at Dusty attic,you still have some time to play along and win a 50$ gift voucher to the store.Based on the moodboard i made a very girly layout in creme and pink combo with lots of flowers and butterflies , for contrast i added a little bit of black . I painted all my chipboard pieces with acrylics and dry brushed some white gesso over it for shabby effect and coated with a layer of clear gloss varnish. I have used new Maja design "celebration" collection papers for my layout ,created a light mixed media background with stenciling and stamping.